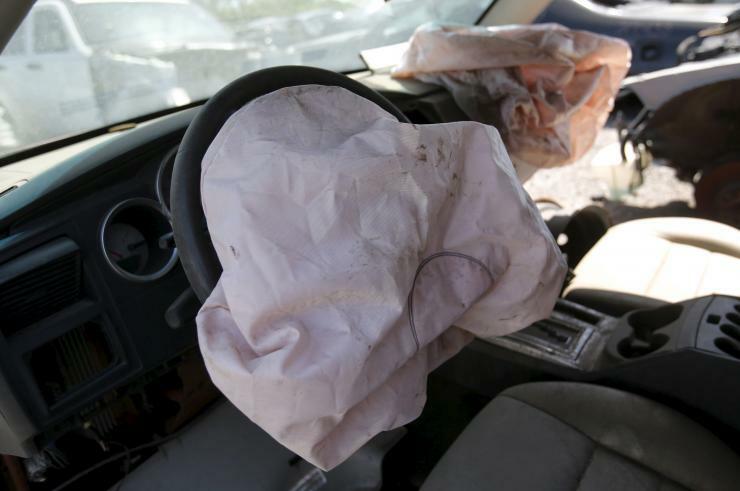 Does the Takata Airbag Recall Put Police at Risk? After a local television reporter discovered that about fifteen-percent of a certain metro Atlanta counties police cars were under a National Highway Traffic Safety Administration (NHTSA) recall, the police chief was alerted and the cars were placed out of service. WSB TV Channel 2 (an affiliate of ABC) consumer reporter Jim Strickland discovered that dozens of Clayton County (Georgia) Police Dodge Charger vehicles are in need of repairs due to an airbag related NHTSA recall. “This came to light yesterday in reference to the recall, and it doesn’t matter. It’s a concern of mine. It’s a concern of my staff,” said Clayton County Police Chief Mike Register. “We want to do whatever we can to ensure the vehicle an officer operates in is safe. There’ll be no decrease in service and no increase in response time.” The dismounted officers will be patrolling in “temporary” vehicles; which has some local citizens concerned about safety. “We are definitely concerned about response times and the safety of our patrol officers if they are forced to drive older, less well equipped vehicles”, said one local resident. The problem seems to lie with the automaker and their ability to furnish parts to repair the defective airbags. Since Takata has also been fined and reprimanded for failure to produce an adequate supply of airbags to manufacturers, it stands to reason that most dealerships are suffering from a shortage of parts necessary to complete the recall repairs. Clayton County Police Fleet Manager Jeff Metarko says that it has certainly been difficult to get parts in the Atlanta area. “They can’t repair what they don’t have yet. But a local Dodge dealership has a line on a couple of parts that hopefully get repaired next week,” he said. Approximately twenty older model Dodge Chargers are in need of a new driver side airbag and some newer Chargers are under a separate recall that involves inadvertent side airbag deployment. While nine deaths have been related to crashes involving vehicles equipped with the faulty Takata airbags, Fiat Chrysler Automobiles (FCA) notes that only one injury has occurred in a Dodge product. 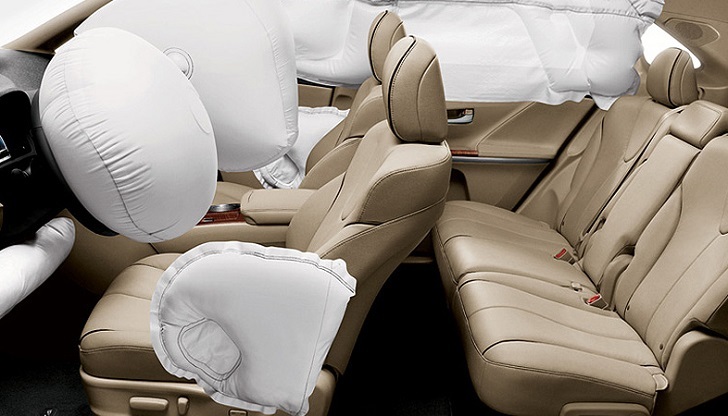 The defective airbags are assembled with either a faulty pressure regulator or defective propellant mixture that tends to cause the expulsion of metal shrapnel into the passenger compartment. Clayton County officials were unaware of the pending recall repairs until Strickland informed them. This makes one wonder if other police departments across the country are in a similar predicament. “Actually, we found out from you. We haven’t received any notification from Dodge yet,” said Metarko. Strickland also reported Friday afternoon that Cobb County (Georgia) police have parked less than a dozen Dodge Chargers. Repairs for those cars are expected to begin Monday. 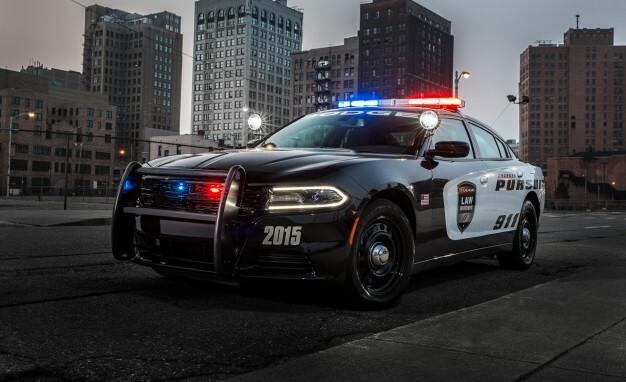 Many law enforcement agencies nationwide utilize the powerful rear-wheel drive Dodge Charger police sedans. Officers are often in harm’s way because of the jobs which they so skillfully carry-out. They shouldn’t be concerned about airbag operation in their cruisers. The Georgia State Patrol employs more than 800 Dodge Chargers (not all of them are under NHTSA recall) and FCA is working directly with them to expedite repairs. Strickland has reportedly run more than 100 vehicle identification numbers and discovered that many have already been repaired.